In 2010, I went through a difficult time personally. It was suggested to me that I plan something to look forward to as a way to get through and beyond what I was going through. 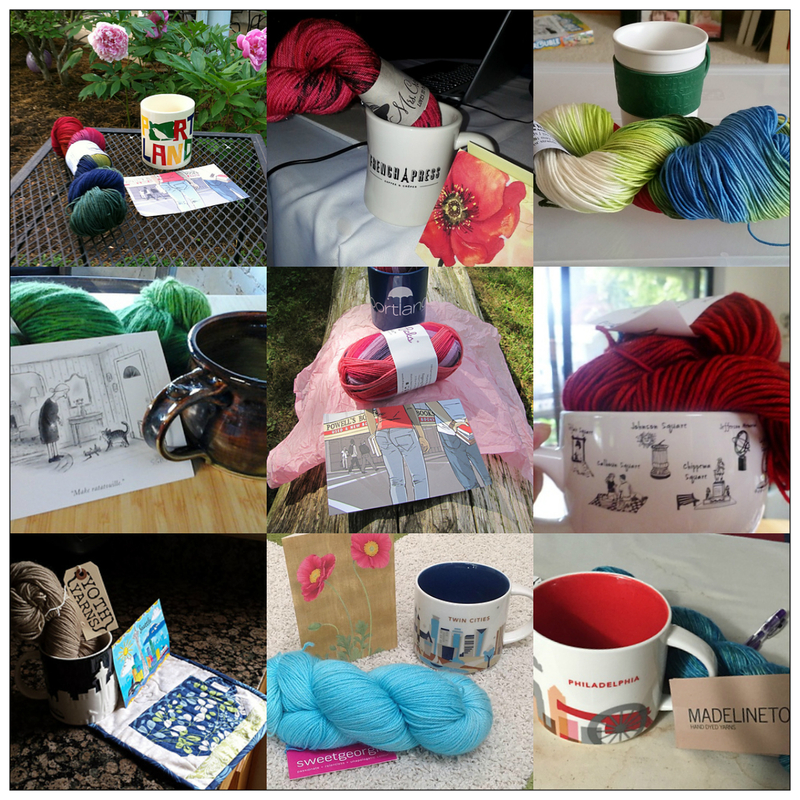 Even though I began knitting a few years before, in 2009 my knitting really took off and I also discovered the amazing fiber arts resource and website, Ravelry. 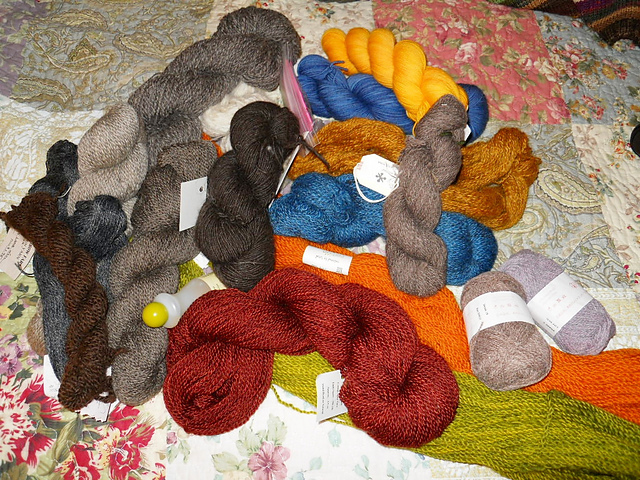 The following year, one of my new Ravelry friends filmed a video as she and a friend drove to the New York Sheep and Wool Festival, affectionately referred to as Rhinebeck. Her video showed the beautiful landscape of Upstate New York in all its fall glory, but more than that, her excitement for Rhinebeck was contagious. I was hooked! I wanted to go to Rhinebeck! 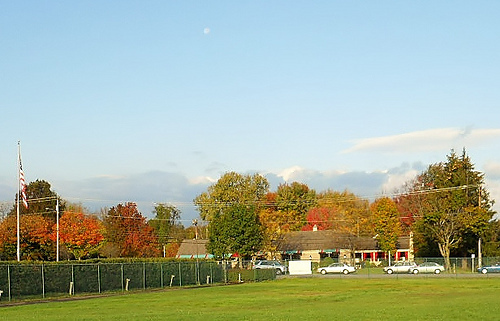 Rhinebeck would be my something to look forward to. The planning started. I purchased airline tickets. I found my roommate (the friend above). Someone (not me) found a great place to stay in the Catskills. I made my Rhinebeck sweater. I signed up for classes; if I were going to spend the money to fly across the country, it should be not only a social and shopping time, but also a time to increase my skills. I took a class on sweater design and one on Tvåändsstickning (! )- a Swedish knitting technique in which two strands of yarn, usually of the same color, are twined together. The classes were terrific! Best of all was the realization that a meaningful trip could be built around fiber activities. Thus began the quest for yarn festivals, retreats, yarn crawls, and any other event that could be classified as fiber-related. Since then I have attended the Columbia Gorge Fiber Festival , the Blue Moon Fiber Arts Barn Sale, the Rose City Yarn Crawl, and Vogue Knitting Live Seattle 2014, and my sisters and I toured Ranch of the Oaks during our 2014 Sisters’ Weekend. Each is worthy of its own blog post, but…well, my hope is to write up reviews after I attend events in the future. I wholeheartedly recommend fiber events as the kernel for travel planning. They provide terrific opportunities to meet wonderful people, to become more educated in the craft, to have something exciting to look forward to and to plan for, and, of course, to increase the stash! 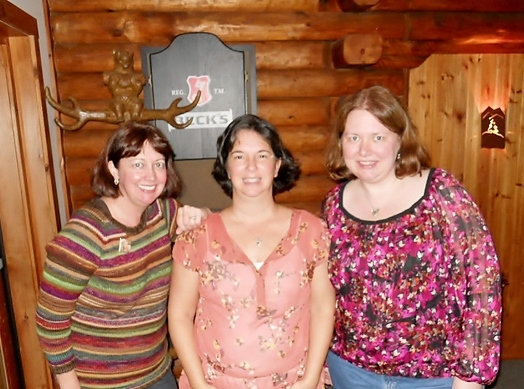 Left to Right: Carol, Melissa, Debby, Richelle. Photo, Melissa Keating, used by permission. Very cool! I’ve been on a knitting retreat outside Asheville and have gone to the Maryland Sheep and Wool Festival but otherwise haven’t done many fiber events. Thanks Alex! The anticipation is half the fun, and meeting and hanging around with like-minded fiber enthusiasts is the other half. I am hoping to make it to the Maryland Sheep and Wool Festival one of these days. Thank you Nicky! 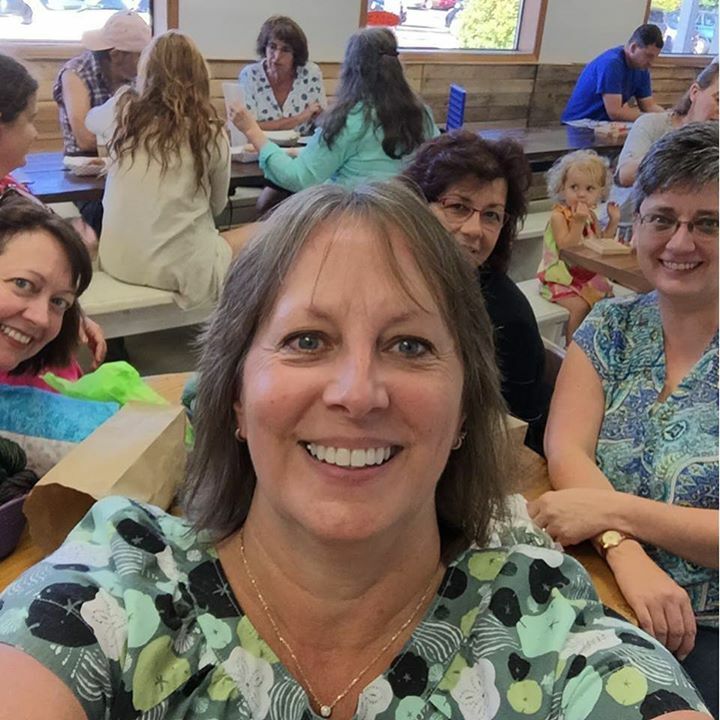 It was so great to meet up with you at Rhinebeck – it’s really a great memory! Keep hitting those festivals, and maybe we’ll get to meet up at another one. 🙂 Thanks for your kind words and support!!! Loved this. It is something I would like to do. I just need to find someone else with the time. So much fun and inspiration. It’s so true how making something with your hands is like good meditation and catharsis. I haven’t taken a class in a while just because I haven’t practiced what I’ve learned in the other three I’ve taken in the past. I am planning on going to STITCHES West next year in February. Yes, that is definitely the case with knitting. I think it’s okay to take new classes even if you haven’t daily used what you learned. I’ve taken the tvåändsstickning class and a Portuguese knitting class, and while I don’t regularly or even occasionally use those skills, I feel that the knowledge informs my current knitting and designing. Have a great time at STITCHES West. 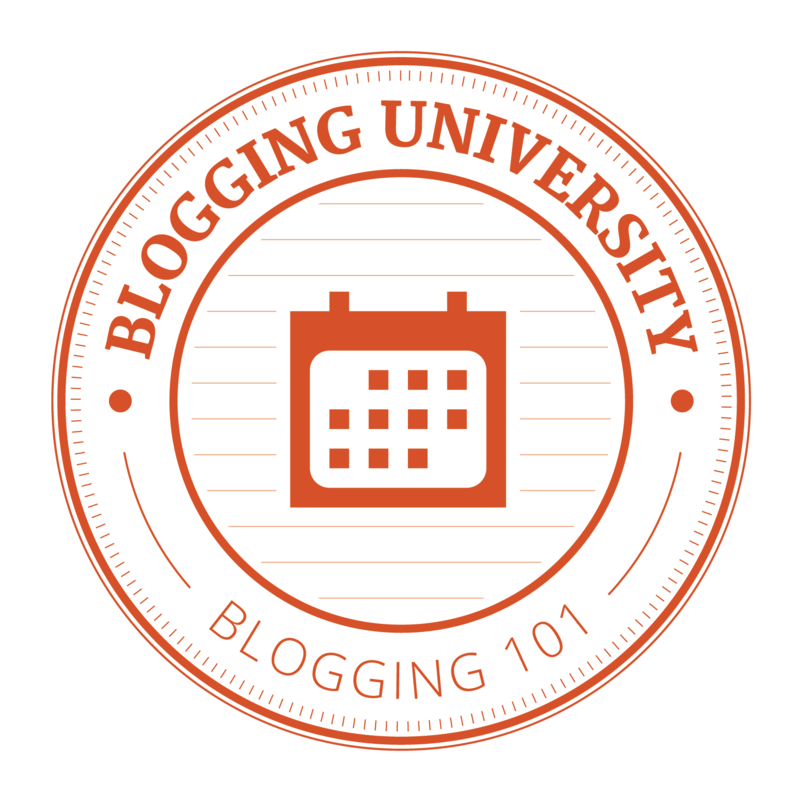 I hope you’ll share about it in your blog.